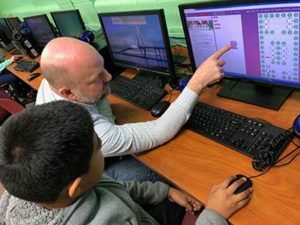 Yo Art has been helping more than a thousand underprivileged students in the Lowcountry this year to get the experience they need in media arts and coding that is crucial to their success in finding meaningful careers and jobs when they get out of school. Our organization depends on donors like you to get the necessary equipment (cameras, iPads and software) into their hands. Not only do we need the equipment, we also need to fund field trips to places where students can document their research and to companies where they can come to understand the type of job or career that is possible with their new skills. Please visit our donate page, and help us reach our goal of $15,000 before Christmas!